A Washington County Virginia woman has pleaded guilty and will now be sentenced on a voluntary manslaughter charge in connection with the shooting death of her husband. 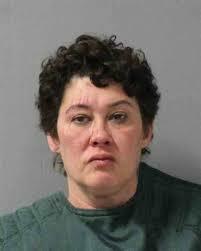 50 year old Ginger Claudine McIntrye entered a no contest plea on charges she shot and killed her 55 year old husband, Randy Lee McIntrye. Officers found his dead body at a home on Ironwood Loop last year. McIntyre could receive up to ten years in prison when she is sentenced in November.